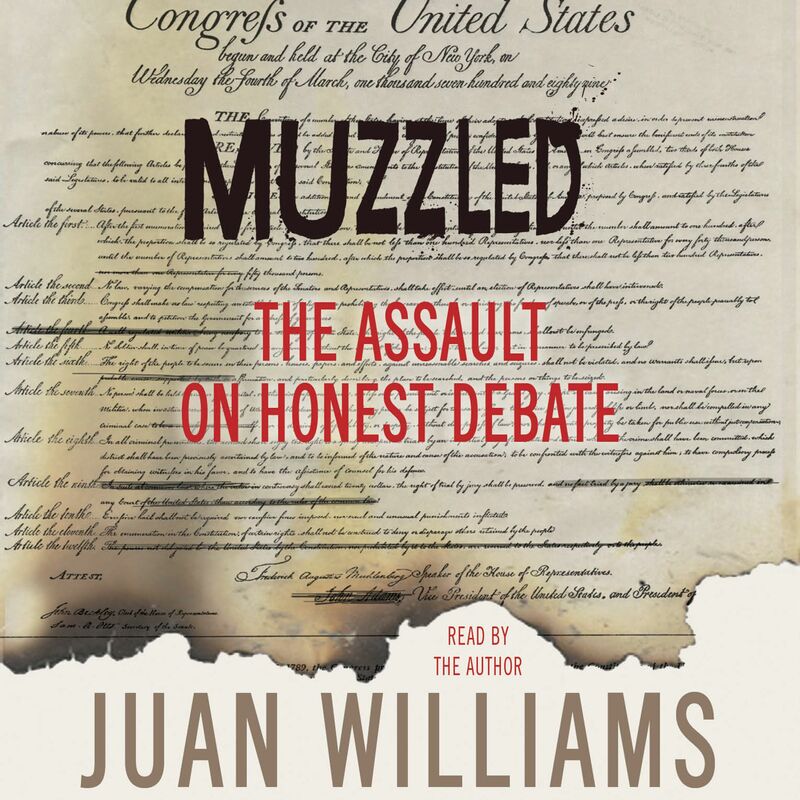 In Muzzled, Williams uses his very public firing as a launching pad to discuss the countless ways in which honest debate in America—from the halls of Congress and the health care town halls to the talk shows and print media—is stifled. In today’s partisan world, where media provocateurs rule the airwaves and political correctness dictates what can and cannot be said with impunity, Williams shows how the honest exchange of ideas and the search for solutions and reasonable compromise is deliberately muzzled. Only those toeing the party’s line—the screaming voices of the extremist—get airtime and dominate the discussion in politics and the media. Each side, liberal and conservative, preaches to a choir that revels in expressions of anger, ideology, conspiracies, and demonized opponents. The result is an absence of truth-telling and honest debate about the facts. Among the issues denied a full-throated discussion are racial profiling; the increased reliance on religious beliefs in debating American values and legislation; the nuances of an immigration policy gone awry; why abortion is promoted as a hot button wedge issue to incite the party faithful and drive donations; the uneasy balance between individual freedom and our desire for security of against terrorism; and much more.